Seville's location in the south of Spain makes it an excellent starting point for getting to the north African country of Morocco. Morocco is a diverse country with Berber, Arabian and European cultural influences. Morocco is an exotic destination with four mountain ranges, long golden beaches, and in the south, the Sahara Desert. 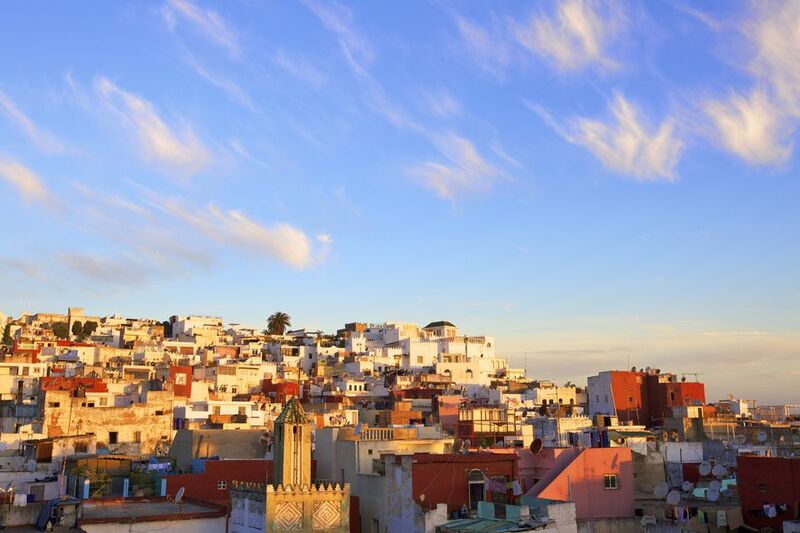 Visit desert towns like Merzouga and Ouarzazate (Hollywood’s destination of choice when it comes to filming desert epics), historic Imperial Cities such as Fez and Rabat, and world famous Tangier, Casablanca and Marrakech. Morocco is exotic, fascinating, and accessible from southern Spain. You have three options for travel to Morocco. Ryanair has flights from Seville (SVQ) to Marrakech (RAK), one of the top choices for cities to visit in Morocco. This is by far the quickest way to get from Seville to Morocco. You can also fly from Seville to Fez on Iberia Airlines and from Seville to Casablanca and Tangier with stops that will lengthen your flight. The flight to Tangier is about three and a half hours and to Marrakesh, four hours. If your travel plans include travel from Seville to Malaga anyway, you might be tempted to travel from there to Morocco. There is a ferry, but the journey is long. A better idea is to take a guided tour from Malaga which includes air arrangements. There is a range of guided tours of Spain and Morocco starting from Malaga. As an example, Gateway 2 Morocco, a Canadian-Moroccan company, offers tours giving participants a full Morocco experience by including the major Moroccan imperial cities such as Casablanca, Rabat, Fez, and Marrakesh. Tours can also include the Sahara desert and the south of Morocco as well as the Atlas and Rif Mountains and are priced according to the length of the tour and the areas visited. For a bit more adventure, you can go a long way and take a ferry to Morocco. The best port for ferries to Morocco is Tarifa. The journey to the port is quick, it has the most ferries, and they still dock in the city port in Tangier, rather than the new Tangier-Med port which is an hour outside of the city. Algeciras also has a lot of ferries, but fewer than from Tarifa, and they dock in Tangier Med. Book ferries from both Algeciras and Tarifa from FRS. If these are fully booked, try Trasmediterranea, which has ferries from Algeciras to Tarifa-Med and Ceuta, a Spanish enclave a bit to the east of Tangier. A bus, run by TG Comes, runs from Seville to Tarifa and then on to Algeciras half an hour later. Tarifa is a more interesting place to stop (it is popular for water sports and whale watching), but if you only want to get to Morocco, it makes no difference which port you are leaving from. The bus from Seville to Tarifa takes three hours, and an extra 30 minutes to Algeciras.